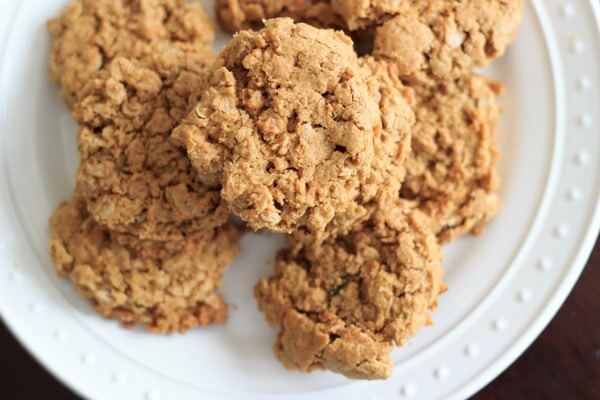 Skinny peanut butter cookies (gluten-free). 5 ingredients, bake in about 10 minutes. 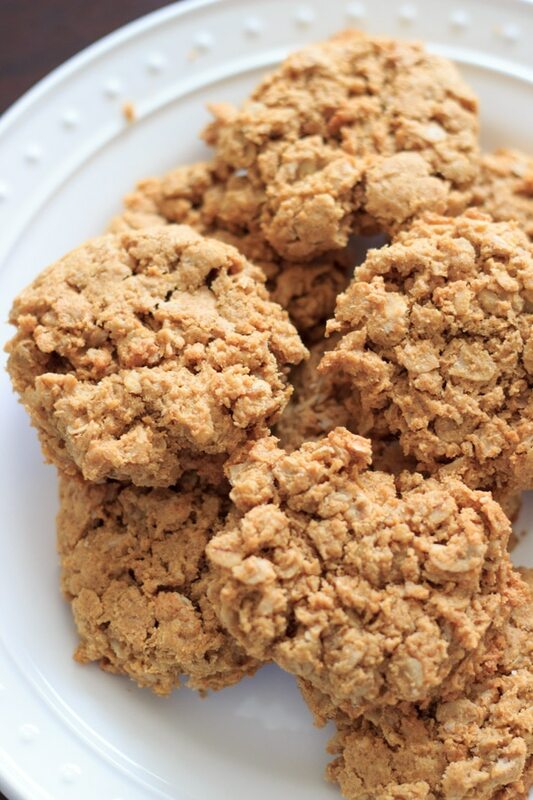 Super easy and delicious, you won’t even miss the flour! I pinned these cookies a while back ago when I thought that I might go through a gluten-free phase. Before my cousin came to visit recently, I noticed that she had pinned the exact same picture from the FitSugar recipe! Even though I still haven’t worked up the willpower to try gluten-free just yet, we decided her visit would be the perfect time to make these. I call them “skinny” peanut butter cookies because the FitSugar recipe claims they have less than 100 calories per cookie. I did not actually count the calories for these ingredients but I’m going to take their word for it! 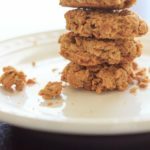 Either way, they are flour-less and have healthy oats and peanut butter, so they are healthier than some of the other cookies I’ve made for sure. 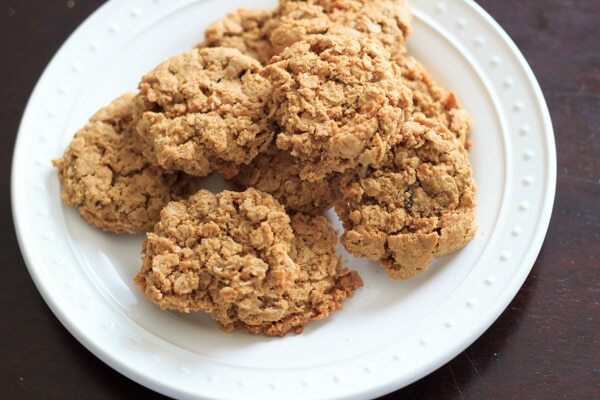 Any peanut butter fan will love these cookies. They are whipped up in no time and are a great snack at any time of the day. They only take about 8 minutes to bake, but you can leave them in a minute or two longer if you like them a little crispier. Depending on the size you choose to scoop the dough, this will make between 12 and 18 cookies. You might want to make a double batch, especially if you’re sharing! 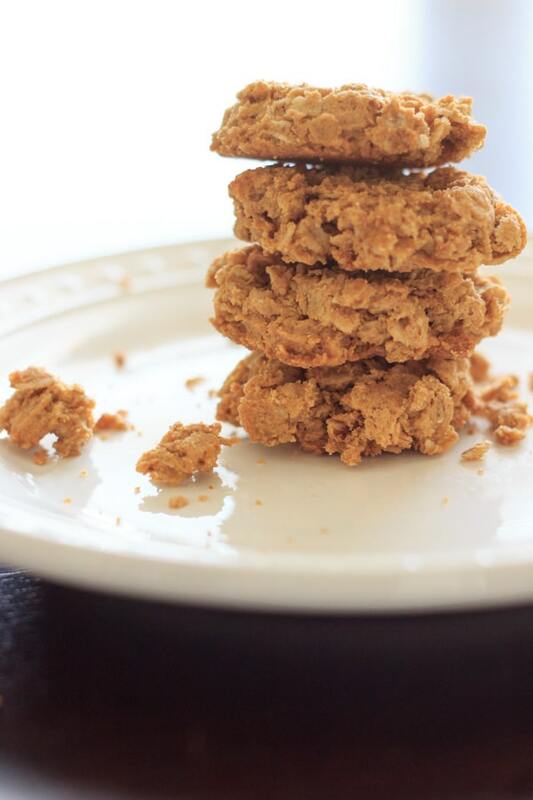 Skinny peanut butter cookies (gluten-free). 5 ingredients, bake in about 10 minutes. Super easy and delicious, you won't even miss the flour! In a small bowl, mix the peanut butter, brown sugar, egg and baking soda together until combined. Stir in the rolled oats and mix well. These look sooooo tempting! I am addicted to peanut butter…..
Peanut butter is the best, right?! Yum! Just added to my ‘to make’ list! Yay! Let me know when you make them, Kristin! 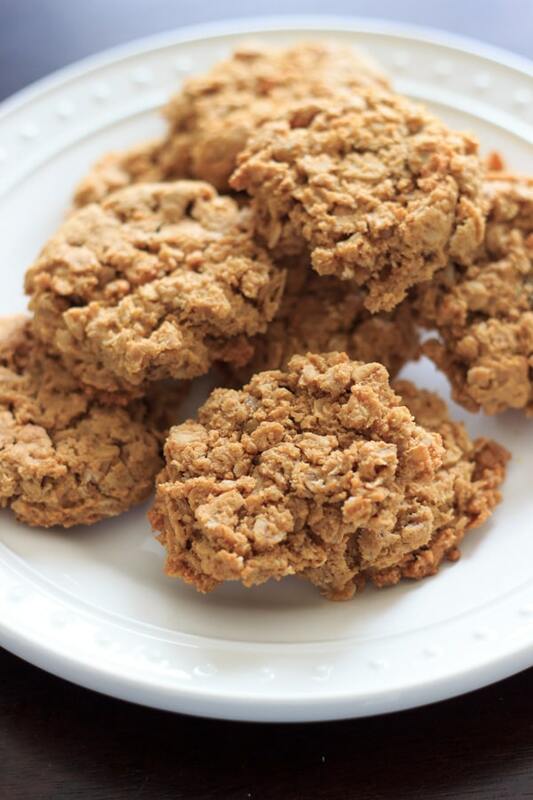 I just made these cookies and they turned out great — crisp on the outside and chewy on the inside. I only had chunky peanut butter, but it didn’t matter. Also, I had toasted oats and used them. Next time, I may add some mini chocolate chips and/or cinnamon. My gluten free friend will love these! Thanks for the recipe!